Drive a mere 120 miles to Grand Junction in Colorado and pick up one for myself, ‘at my convenience’. I opted for the latter. Despite knowing that a 120 mile drive to somewhere in Colorado that was not on my list of places to visit was anything but ‘at my convenience’, it won outright over the thought of spending another 4-6 hours in Green River. No offence, Green River-ettes, or whatever you may be called – I just wanted to be on the road again. On arriving, some hours later, in Grand Junction, which seemed like a very pleasant place, we negotiated a rather lovely but rather massive 4x4, hit the interstate and headed in the general direction of Denver. After an hour on the road, I noticed that I had a lovely amber exclamation point lit up on the dash. Without a manual, as I was, I was unsure of what this meant, but was fairly certain it wasn’t a good sign. Still, it was either no brakes or a funny light and I decided to go with it. I soon realised that if I placed my hands in a particular position on the wheel, I couldn’t even see the light, so that made me feel a bit better. 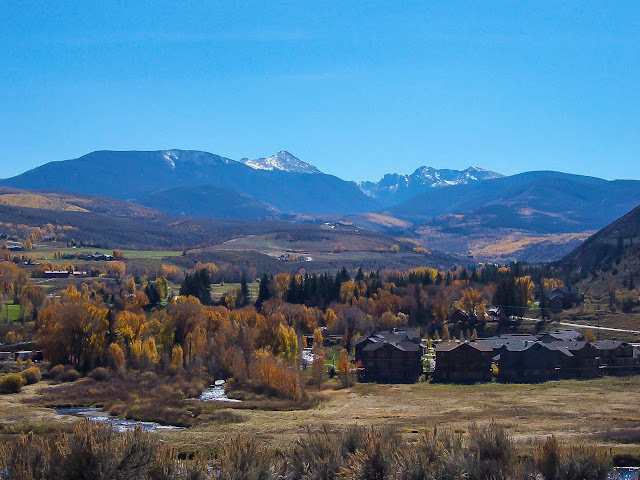 We rolled across the countryside through the quite breathtaking Rocky Mountains and into Vail, which I’d read about on numerous occasions as being a favourite of the rich and famous for its skiing. I finally got to see for myself just WHY it was so popular. It was absolutely beautiful and, despite the fact that I hate skiing with a passion matched only by my hatred of homophobes and racists, I figured that I might be able to tolerate it in a place like this. Vail is a town in within the boundaries of Eagle County in the state of Colorado. After Big Sky and Whistler Blackcomb, Vail is the largest ski mountain the United States. The ski resort has been in action since the end of 1962 and has grown year on year since. It is now well established as the biggest ski resort in North America. 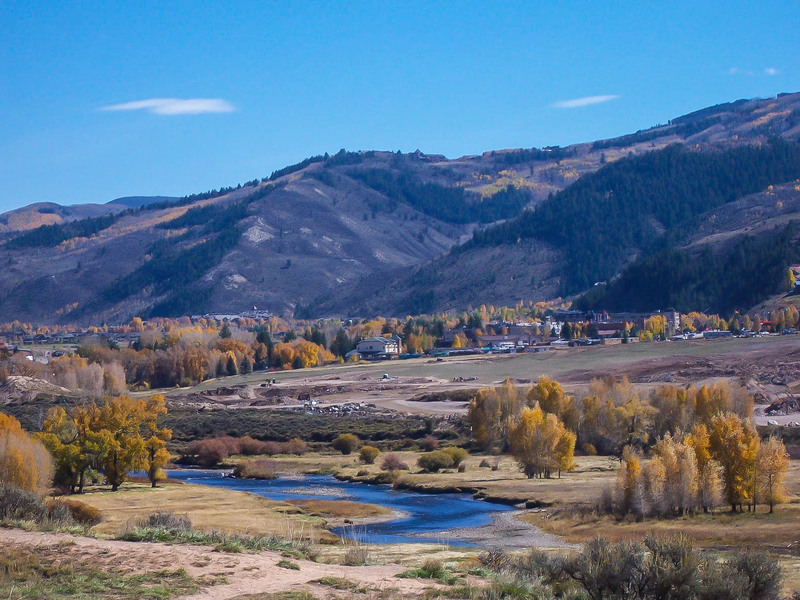 Located in White River National Forest, Vail attracts visitors from all over the world and you don’t even have to love skiing to go (thankfully….). Personally, the thought of having to change in and out of all that gear and attempting to plod around with massive planks attached to my feet just makes me tired. Plus, I’m from Scotland, so if I wanted to ski, I have plenty of slopes at home. When it’s icy, I have, on occasion, unintentionally gone skiing down my driveway, landing in a rather unattractive heap at my front door. I don’t recommend it. What I do like about it, however, is the whole après ski thing. That’s much more in line with my kind of thinking. Although Vail is famed for its world class ski facilities, it is also a massive draw for anyone who enjoys outdoor activities and has a wide range of things to do that don't involve strapping annoyingly massive heavy things to the bottom of your feet and attempting not to die. Former President Gerald Ford spent much time running the country from Vail (some people will do ANYTHING to get out of skiing) and there is now an amphitheatre named after him. There's also a centre named after his wife, for those who enjoy the apres ski a little too much. I jest, of course. The Betty Ford Clinic is in California. What Vail has is the much more pleasant sounding Betty Ford Alpine Gardens, which you can wander around and enjoy the plants and flowers. Once you're done with that, you can head on over to the 10th Mountain and Whiskey Company for a quick drink. How ironic. If you are interested in the *history* of skiing, but not necessarily actually doing any, you can visit the Colorado Ski Hall of Fame. This will allow you to marvel at the feats that have taken place over the years whilst reaffirming your confusion at why anyone thinks it could possibly be a fun way to spend their down time. Or that's what I did, anyway. 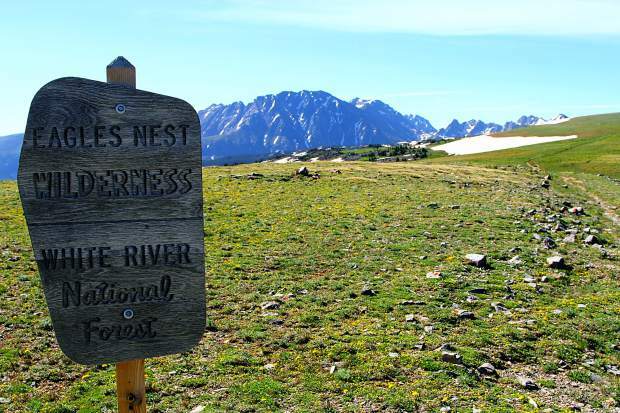 If you neither want to ski OR find out anything about it, you can check out Eagles Nest or Holy Cross Wilderness Areas, which lie outside of Vail. With a quite massive space to explore, you can go hiking, picnicking, or just enjoy the gorgeous scenery. Don't forget your camera! If you fancy some shopping that doesn't involve ski masks and salopettes, you can hop a bus to Minturn, a small but perfectly formed town around 8 miles south of Vail. Minturn has a great reputation for its friendly atmosphere, as well as a choice of shops, bars and restaurants. It even has a winery, which pretty much makes it a perfect day trip in my book. Who needs skiing when there's so much else to do? ?